There's a lot of concern brewing in Texas, ever since the first official Ebola diagnosis in the U.S. was confirmed in Dallas this week. Reuters reports that up to 100 people may have been exposed to Ebola, either by coming into direct contact with the man, or with those who did. So, why did Ebola patent Thomas Duncan fly into the U.S. from Liberia, bringing the virus along with him? The sad answer: to marry his girlfriend. According to Bloomberg, who contacted the church of Duncan's girlfriend Louise Troh, Duncan returned from Liberia last month intending to begin his "new life" with her. 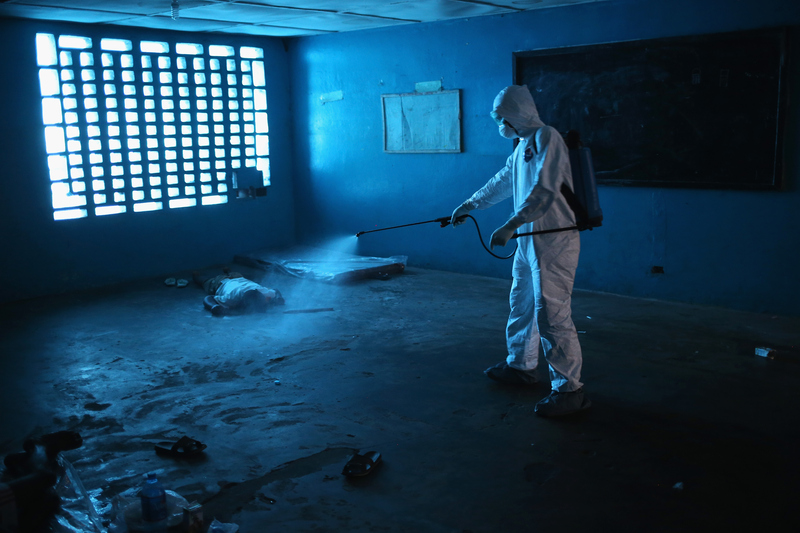 Liberia has been hit devastatingly hard by the Ebola outbreak in West Africa — it has suffered the highest number of infections and deaths of any of the stricken nations. The New York Times reported that Duncan might've been infected while aiding an ill neighbor who was later confirmed to have been infected with Ebola. Now, having shared a living space with Duncan before he was put under isolation, Troh is in a particularly horrifying and tense situation — both waiting on news of her husband-to-be's condition, and living under a quarantine in the very apartment where he fell ill. The senior pastor of Troh's church, George Mason, told Bloomberg about the isolation endured by her and her family. Louise and other members of her extended family are in isolation now because of their contact with Mr. Duncan. You can imagine how frightening this must be for all of them, mixed with the sadness of Mr. Duncan’s diagnosis. Troh and her family are also reportedly frustrated with the duration and highly preventative nature of their quarantine — while Ebola isn't contagious until sufferers are symptomatic, she's been stuck in the apartment with her son and two nephews. According to CNN, Duncan's sweat-stained sheets are still on the bed he'd slept in before succumbing to the illness. It sounds like as stressful and awful a home confinement as it gets, and she's hoping it'll come to an end soon. We can't wait to be over with everything. We can't wait. ... if we step outside, they are going to take us ... to court (because) we'll have committed a crime. The public health response to this Texas episode has been high-profile, owing to the undeniably frightening nature of the virus — throughout the West African outbreak, Ebola's been lethal 46 percent of the time, according to statistics from the Centers for Disease Control.